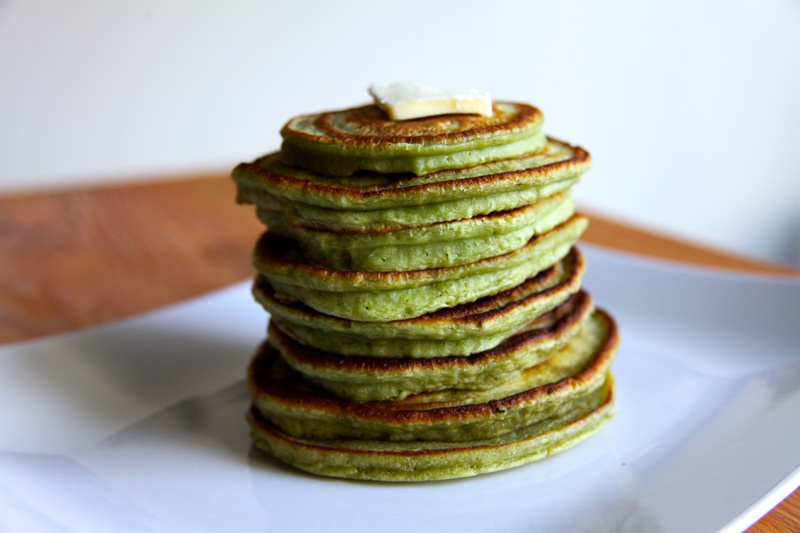 Matcha pancakes are like normal pancakes that went off to a northeastern liberal arts college and now read Pitchfork but also do a lot of volunteer work. So what I am trying to say is–this Pinterest-friendly matcha pancake recipe may seem #basic but they’re actually super tasty and a nice way to spruce up your breakfast. You’ve earned it, man. If you’re not familiar with the trend of the moment, matcha is finely ground green tea powder. As a powder, you can get pretty creative with it–using it in everything from sweet breads to ice creams. In Brooklyn, there’s even a Matcha Bar (it’s no Pop Tart World, but I’ll take it). As an aside, you can seriously buy anything in powder form, from powdered butter to eggs. If you’re in the powder market, I highly recommend cheddar powder *GAME CHANGER*. Matcha powder // green tea powder can be a bit bitter, so this green tea pancake recipe uses a bit more sugar than I’d otherwise recommend for waffle or pancake batter. 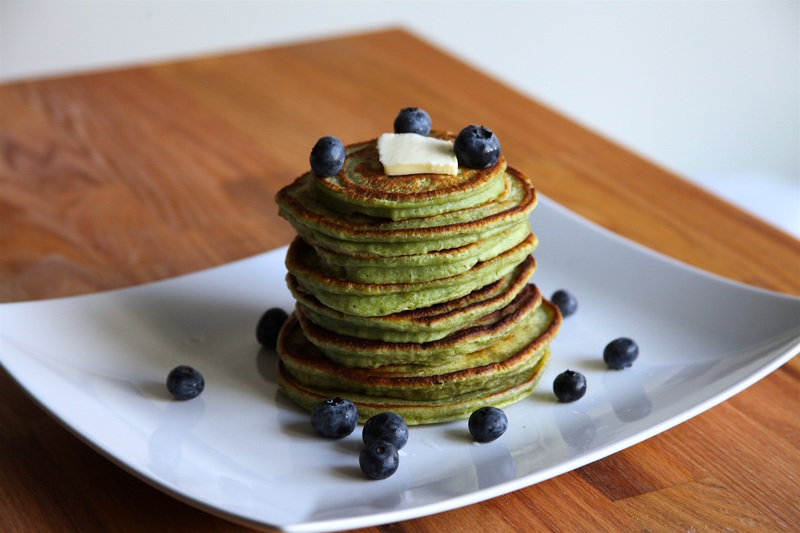 Feel free to adjust the matcha pancakes recipe as you prefer–get down with your healthy self and halve the sugar if you please. Viva la fat stack$$$. 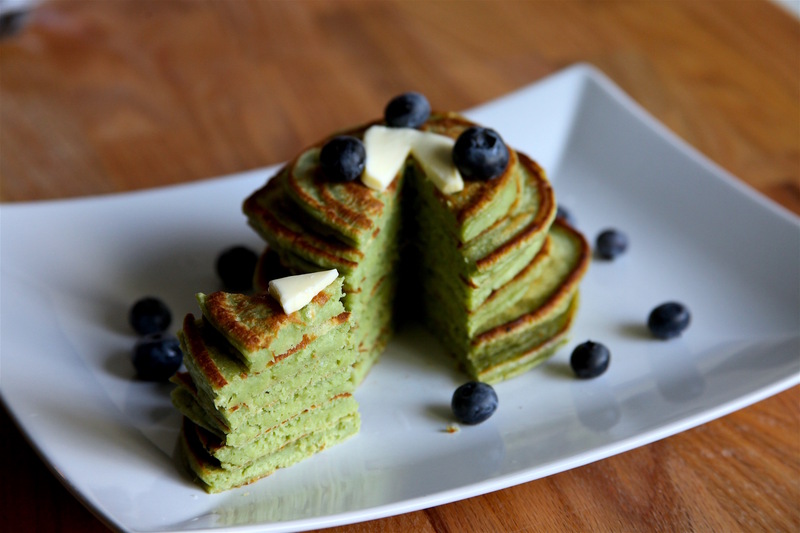 Learn how to make these easy matcha pancakes. Green tea pancakes are made like normal pancake / waffle batter, but with a little extra sugar and green tea / matcha powder. Prep batter. In a large mixing bowl, mix together dry ingredients. In a separate bowl, whisk eggs and add milk and cooled butter. Stir egg mixture into dry ingredients and stir just until mixture is wet (some lumps are okay). Add extra milk if mixture is too thick. Cook pancakes. Heat a large skillet over medium heat and add oil or a knob of butter. Once simmering, add 1/3 cup of batter to skillet. After bottom brows and bubbles begin to appear (~1-2 minutes), flip pancake and cook an additional 1-2 minutes. Serve with syrup, whipped cream or fruit. 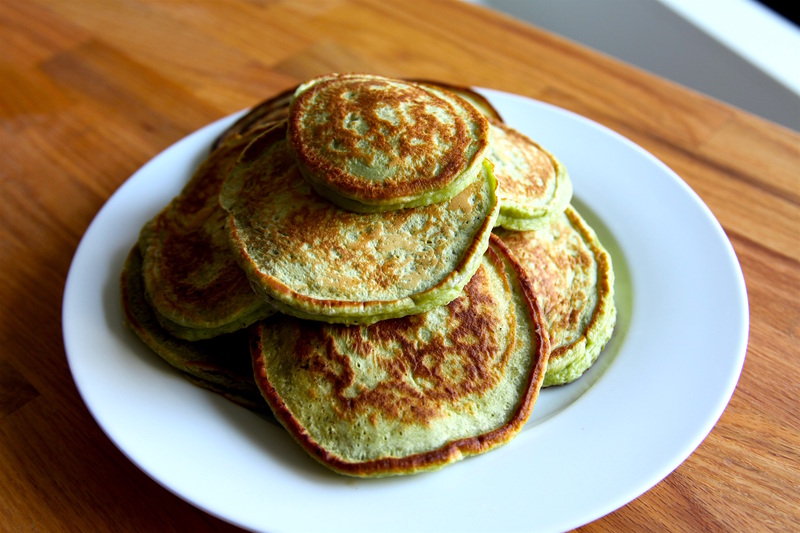 Made matcha pancakes at home? Tag your green tea pancakes photos with #PateSmith or share them in the comments for the chance to be featured onsite!